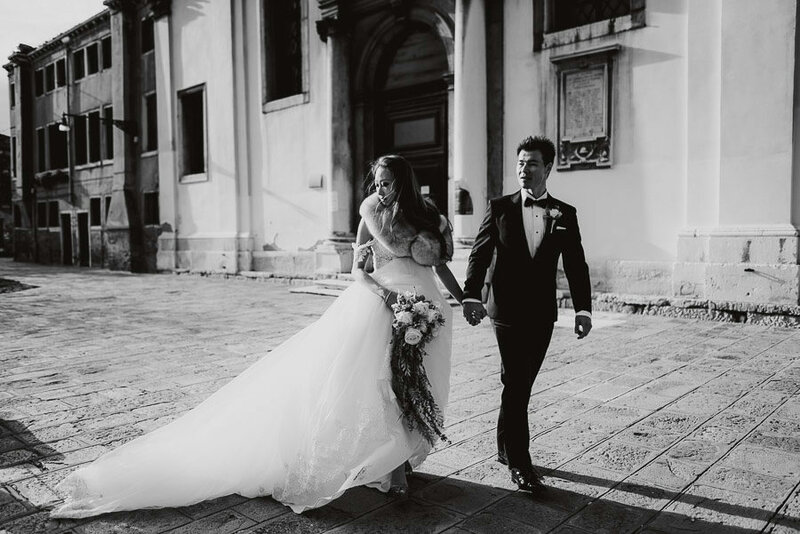 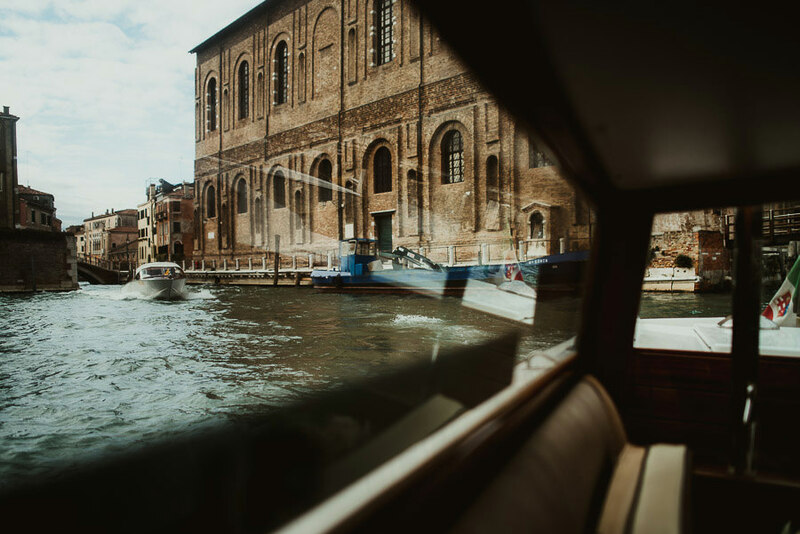 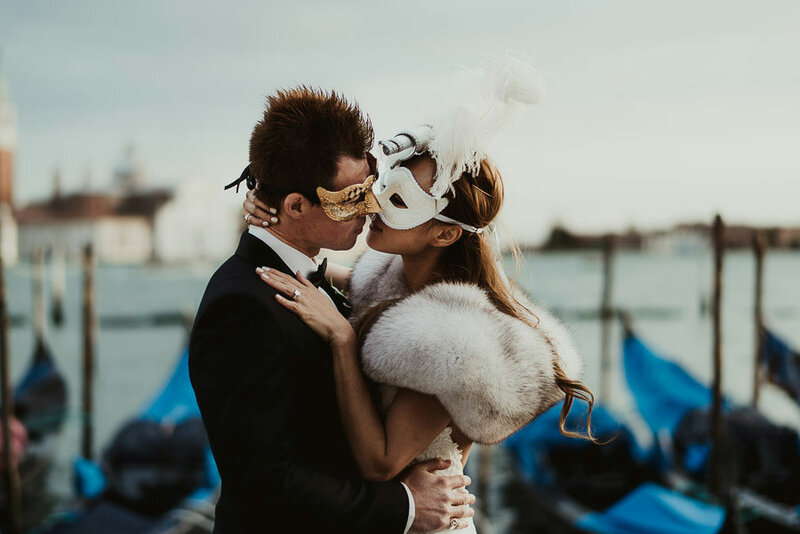 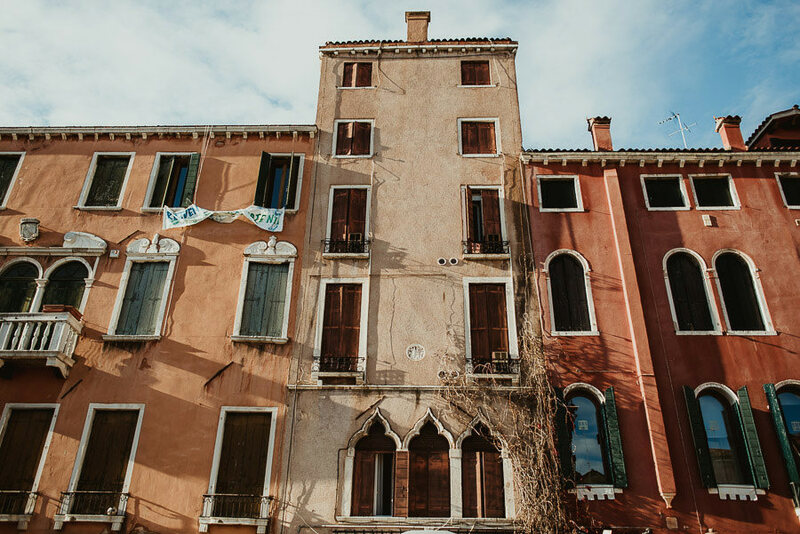 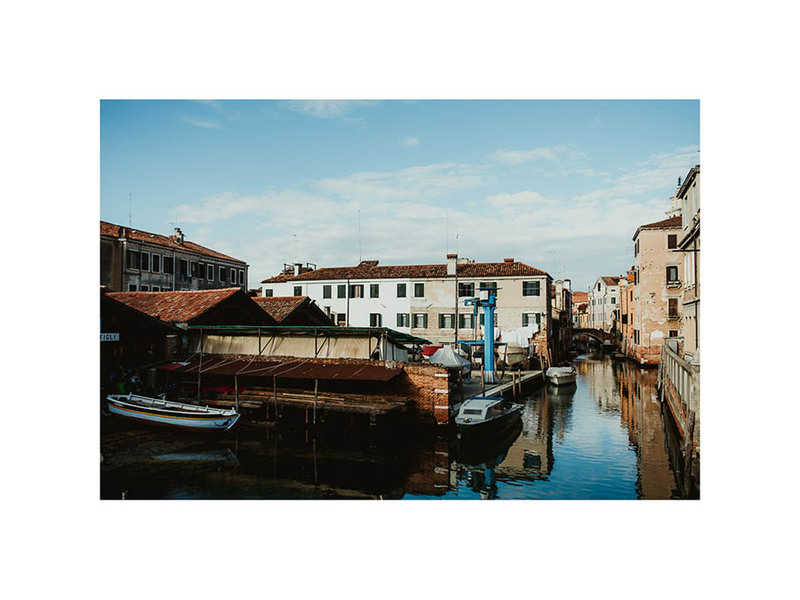 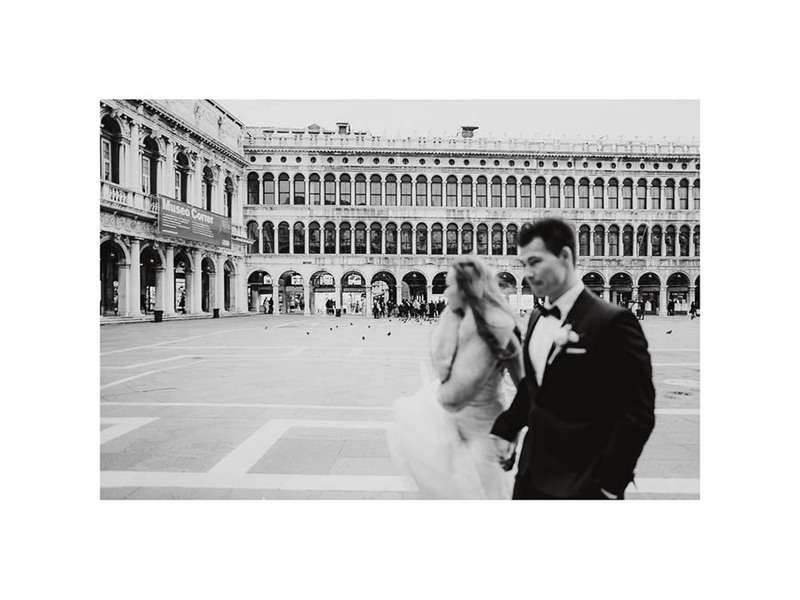 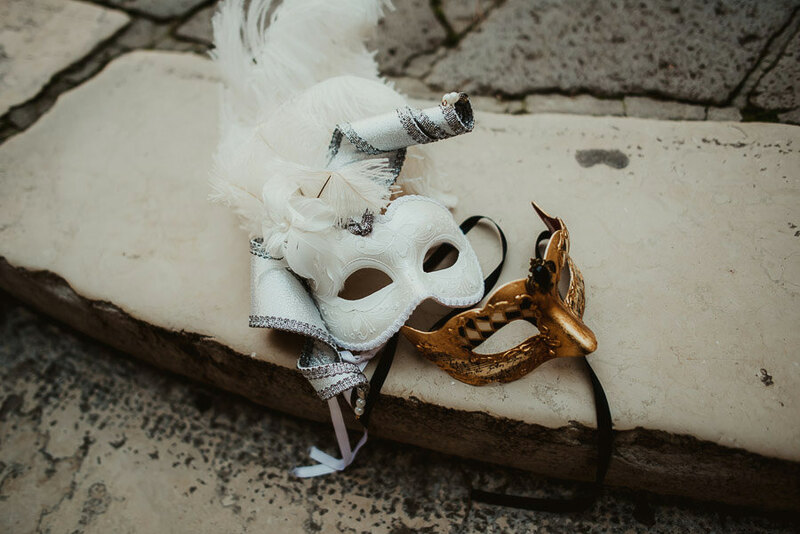 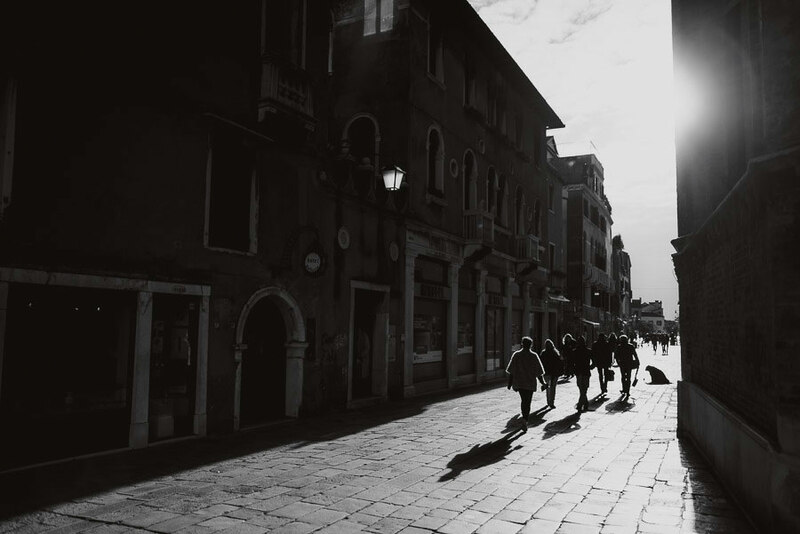 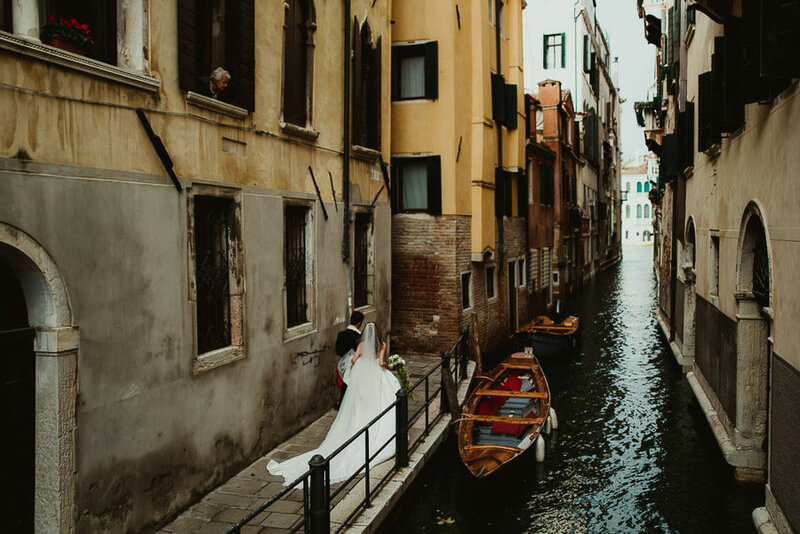 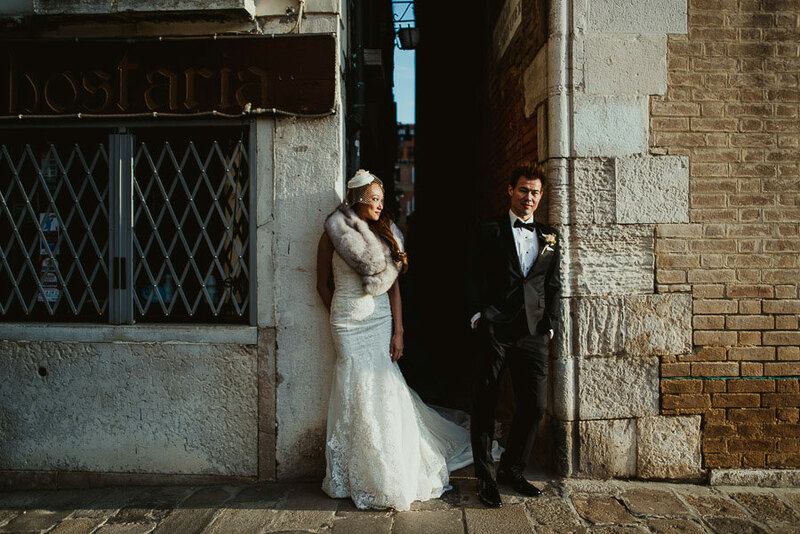 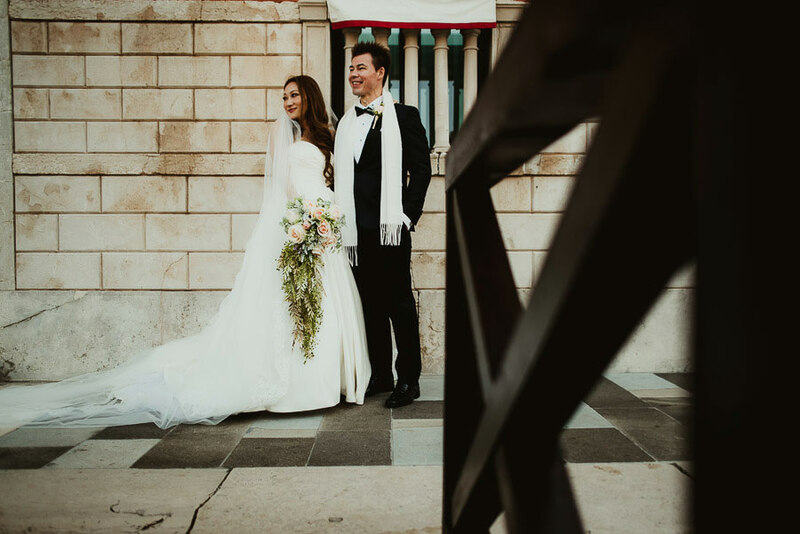 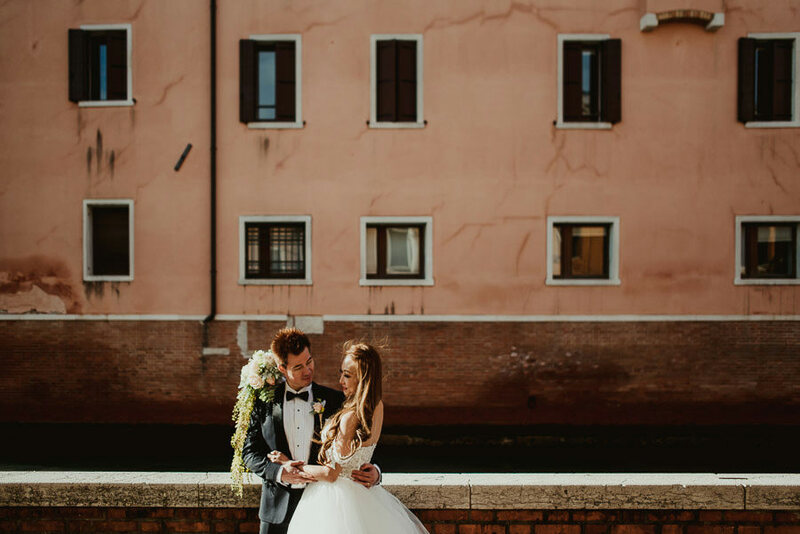 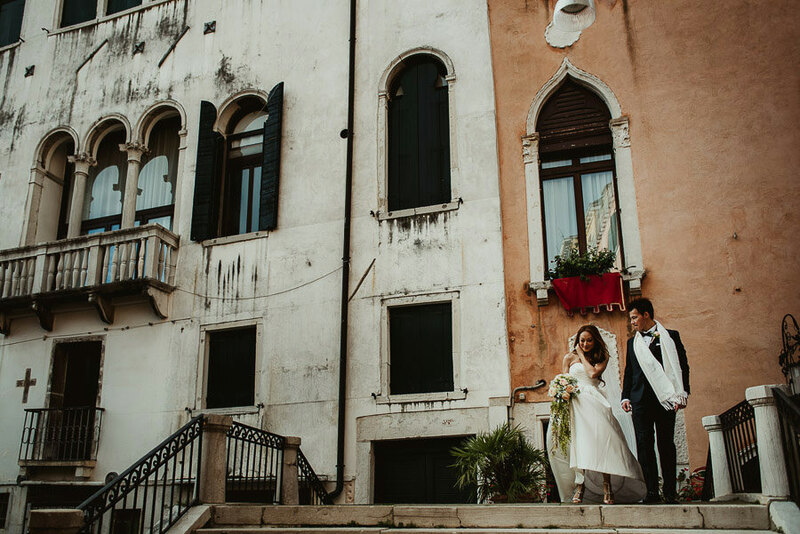 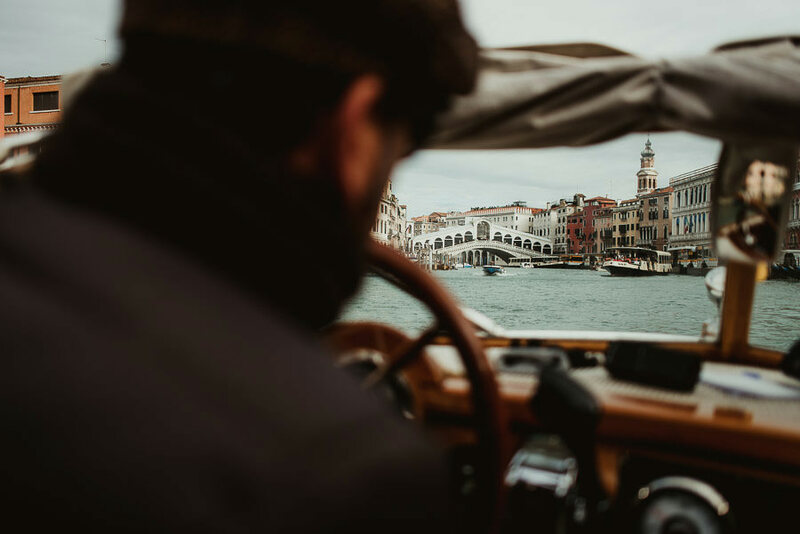 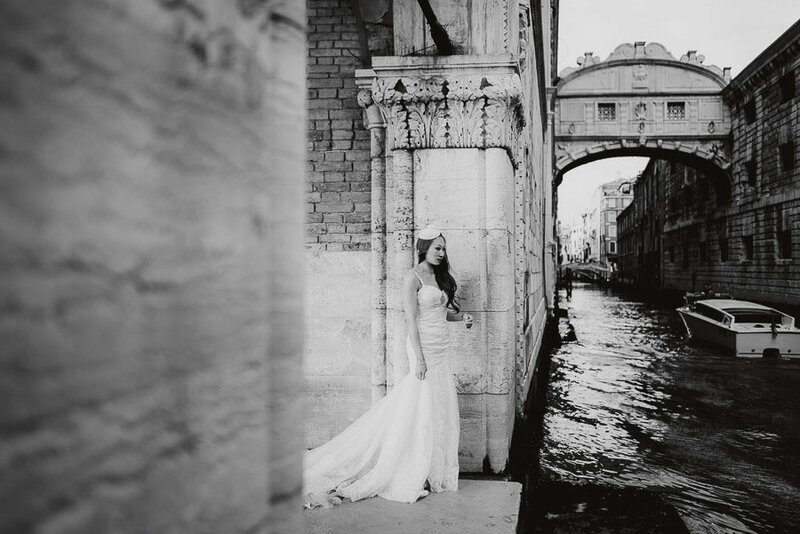 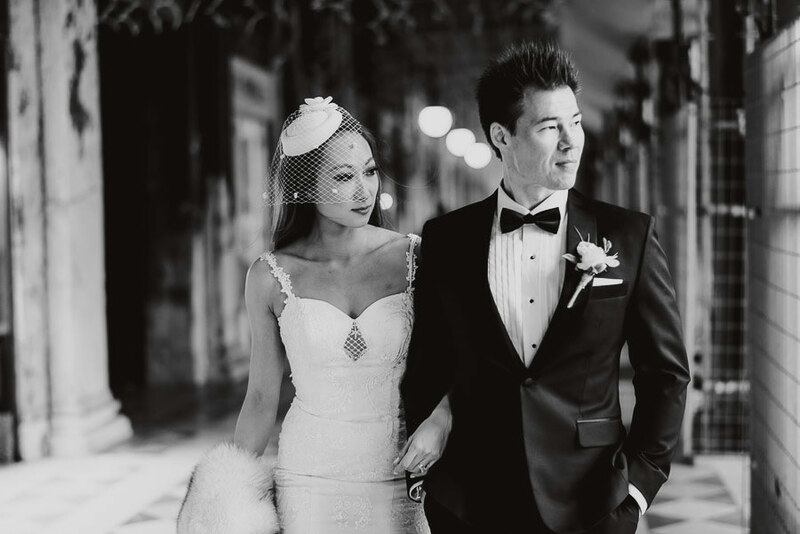 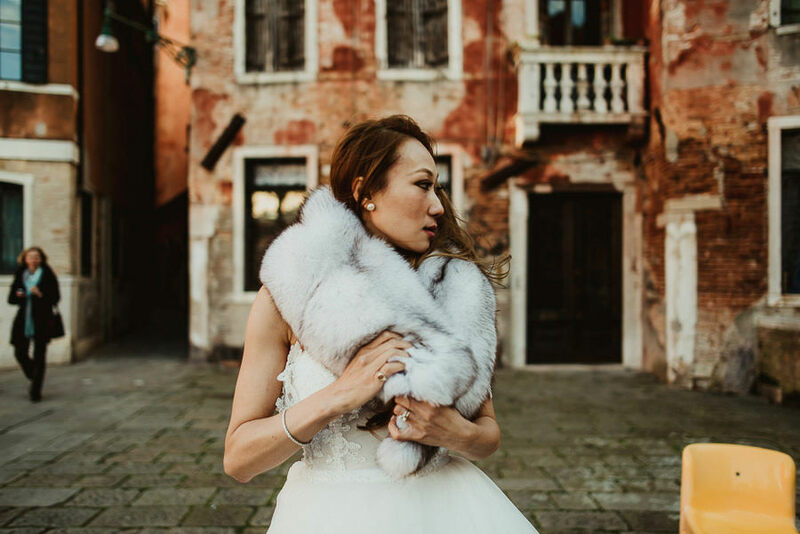 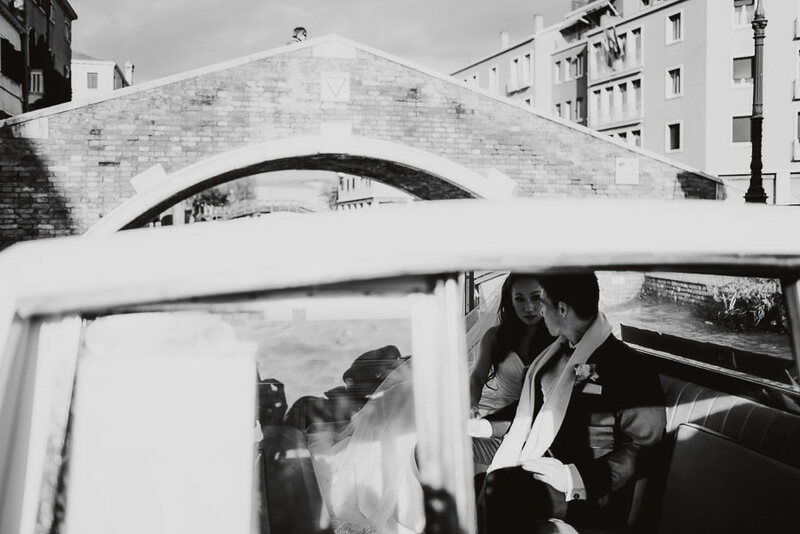 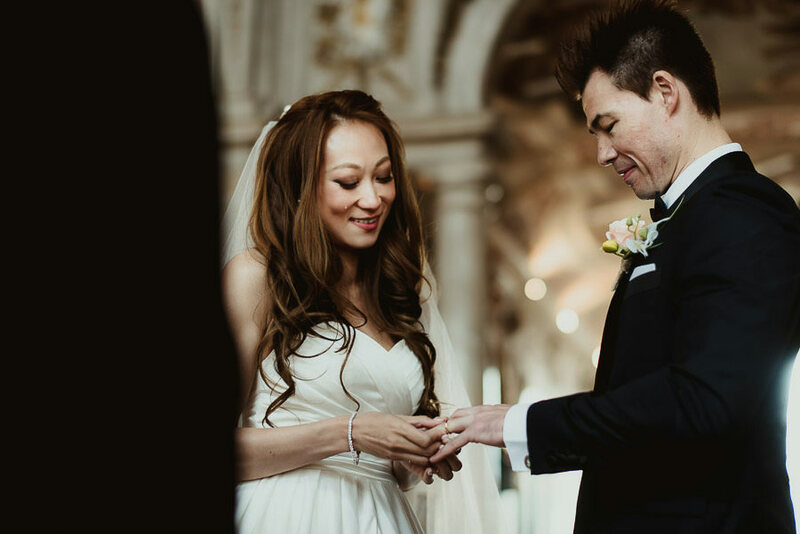 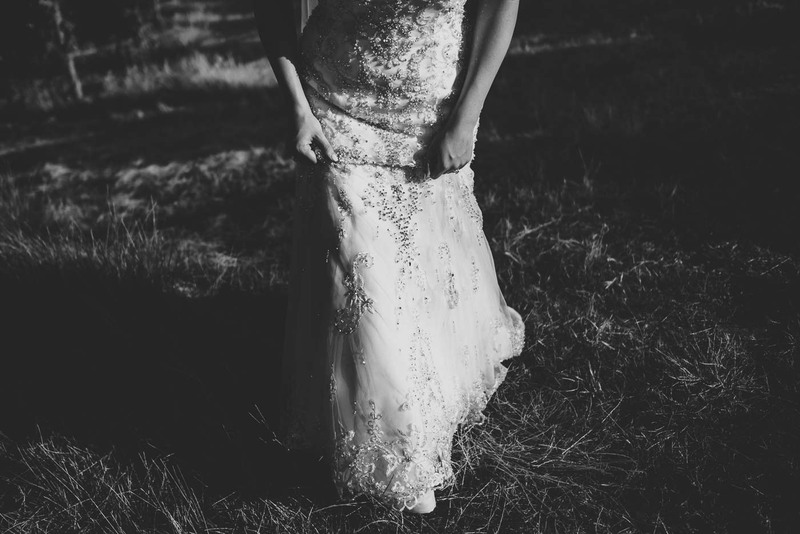 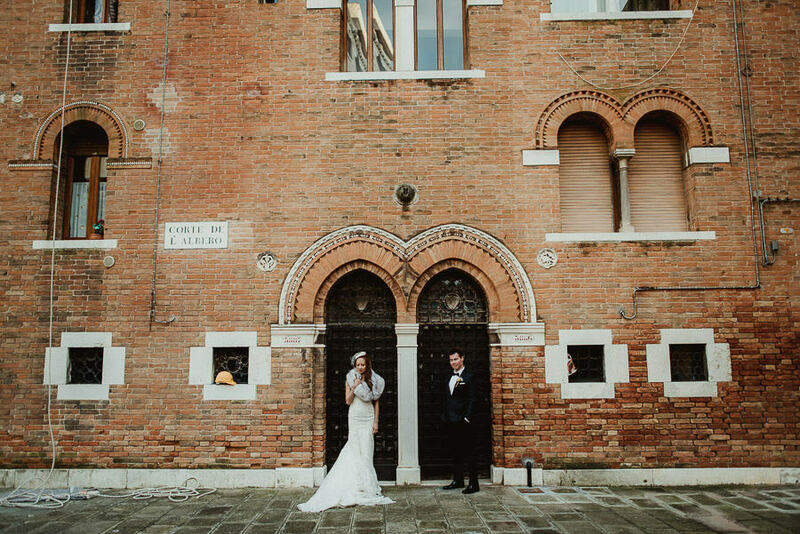 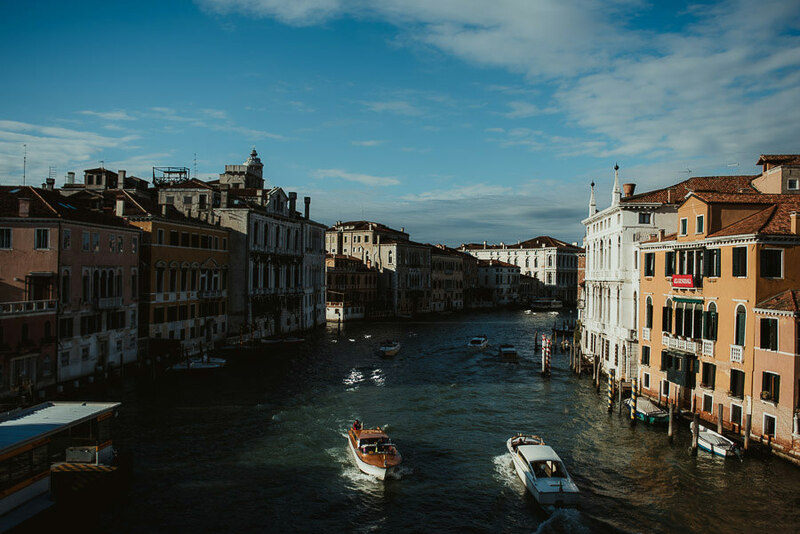 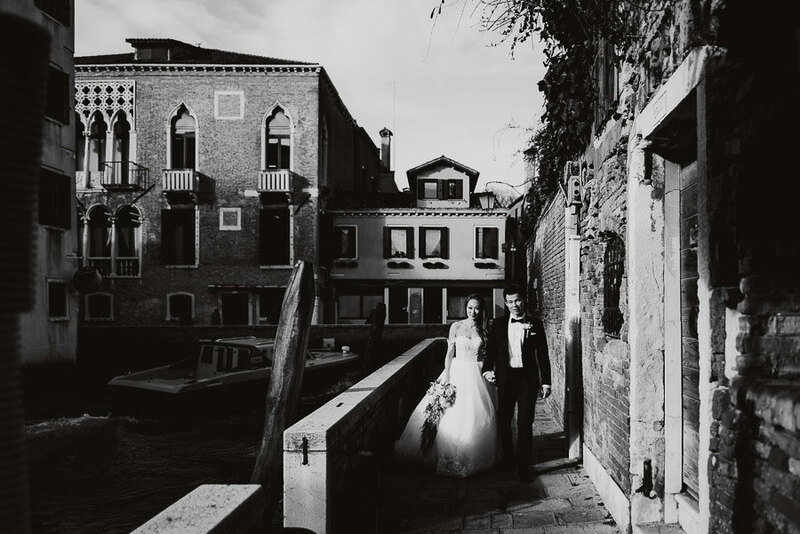 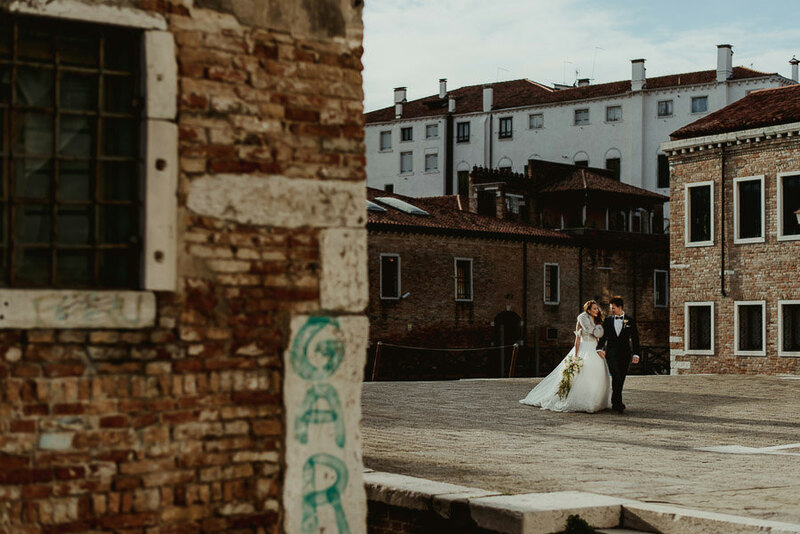 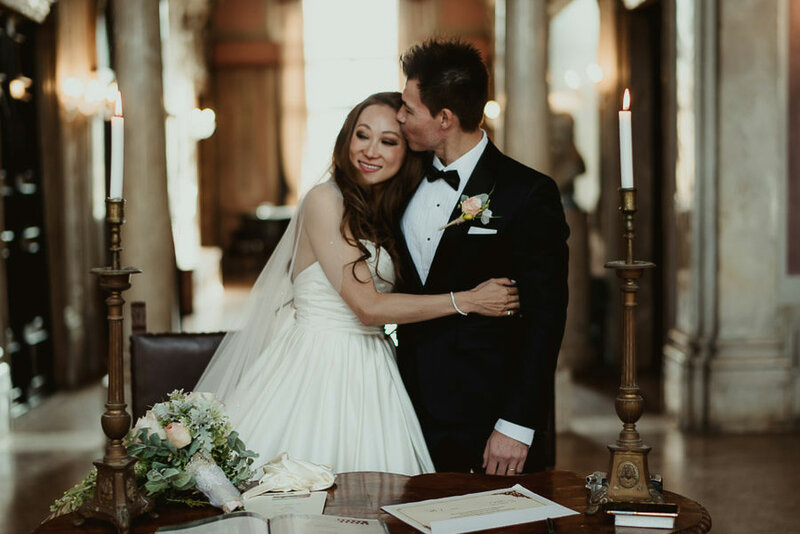 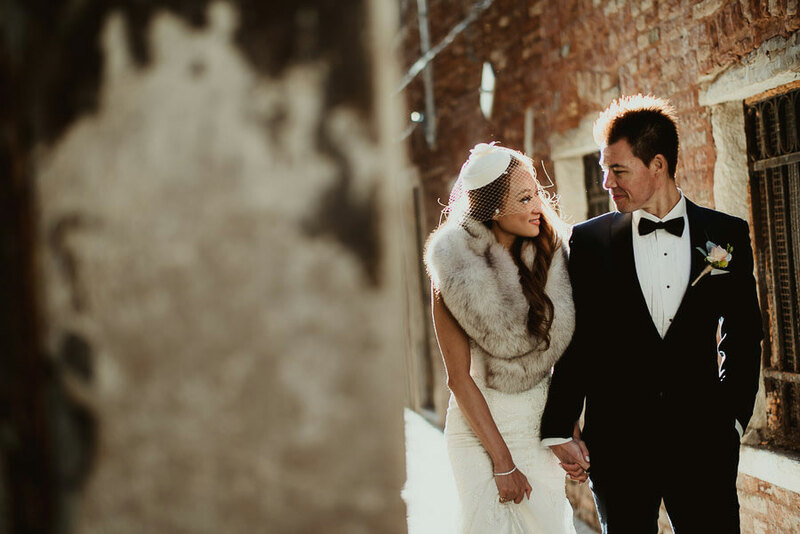 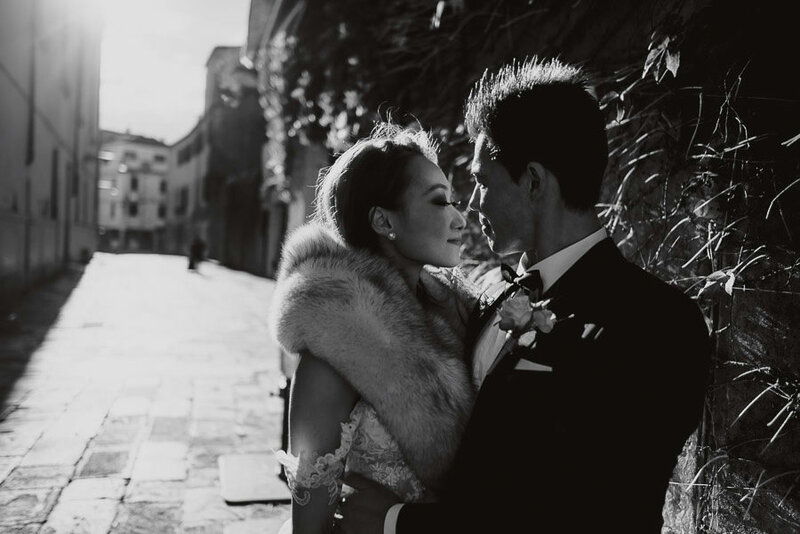 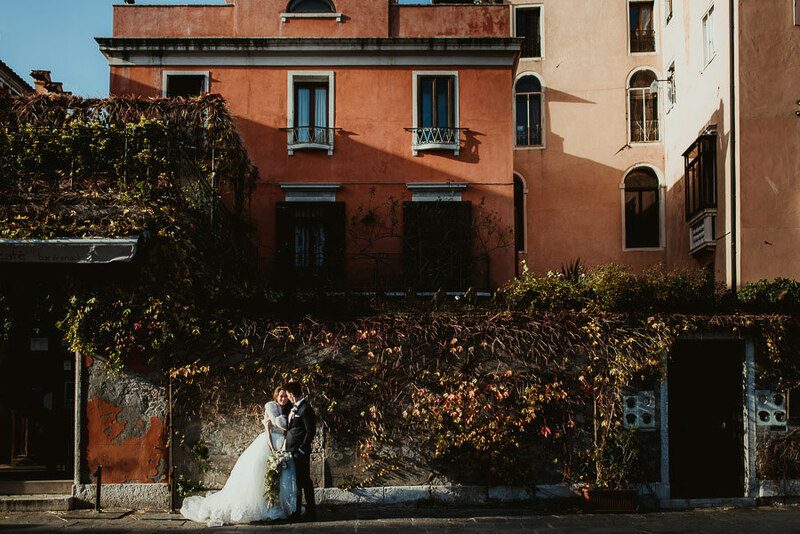 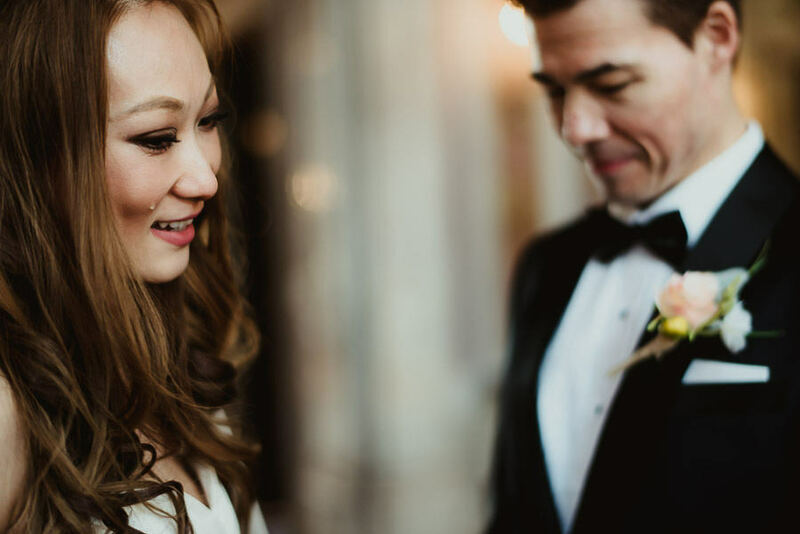 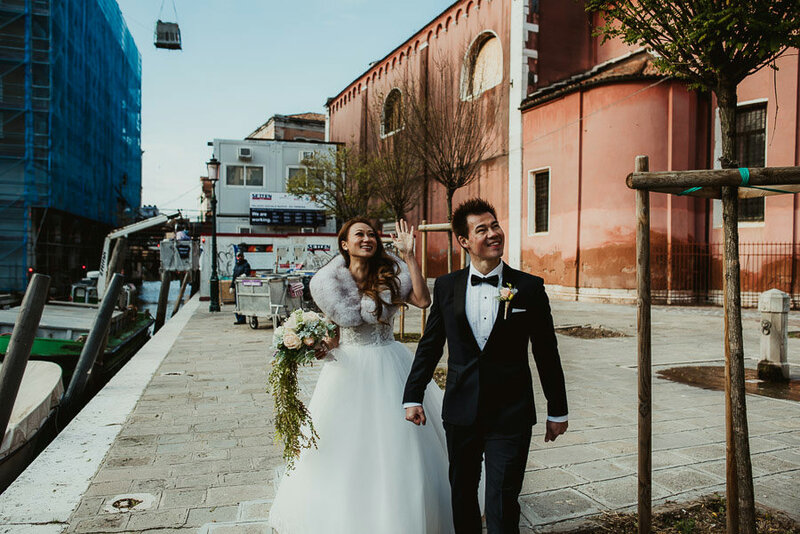 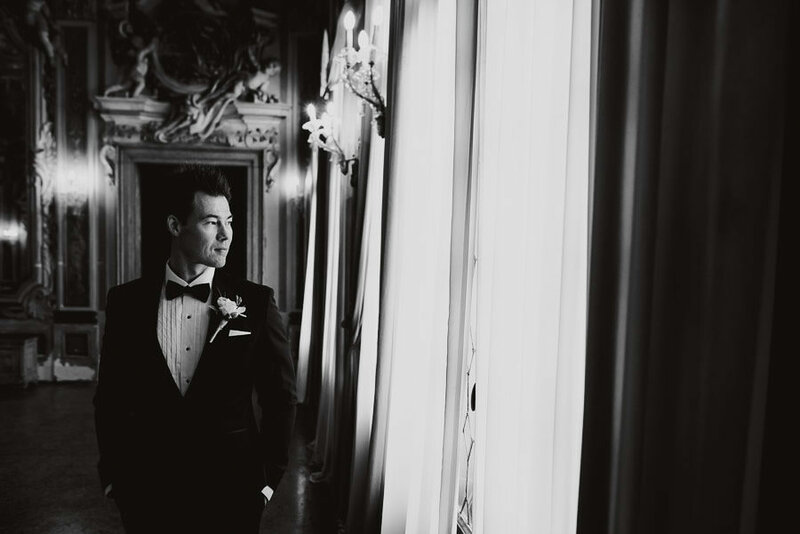 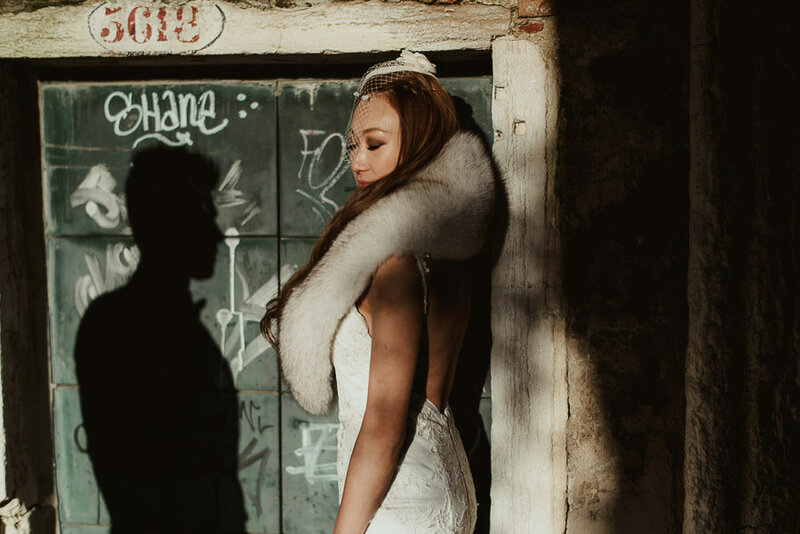 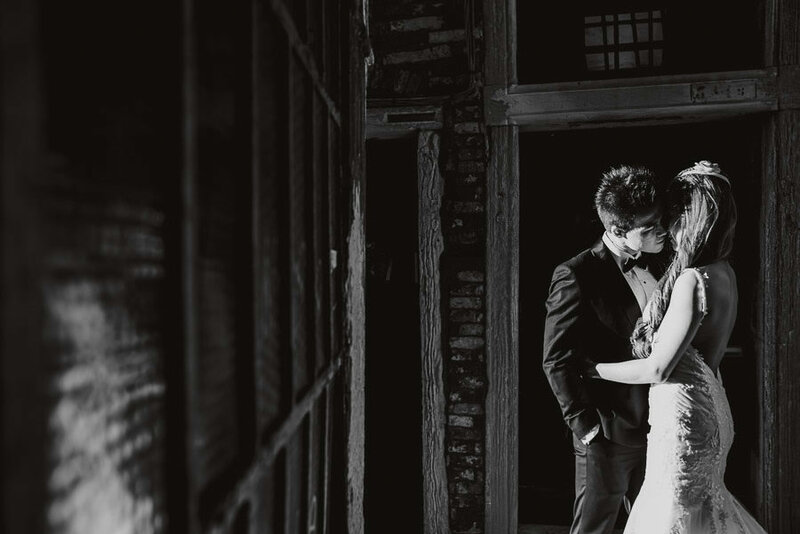 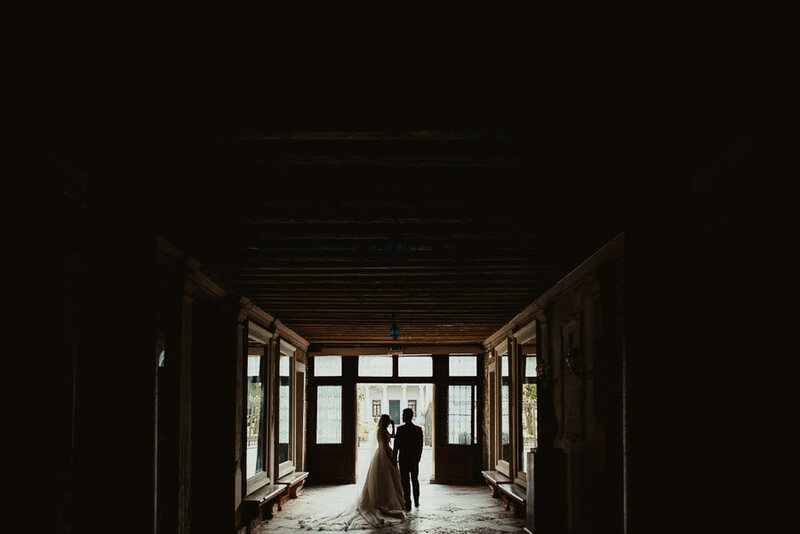 The last last wedding that closed my past season was this romantic Elopement in Venice. 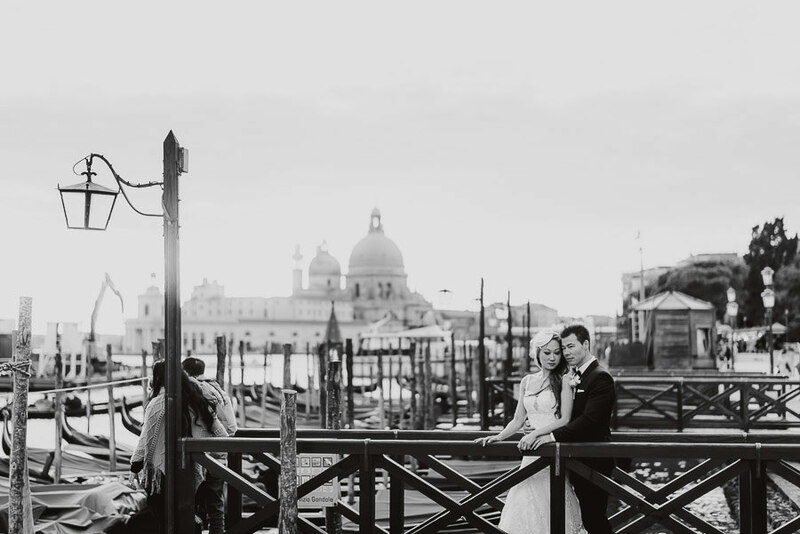 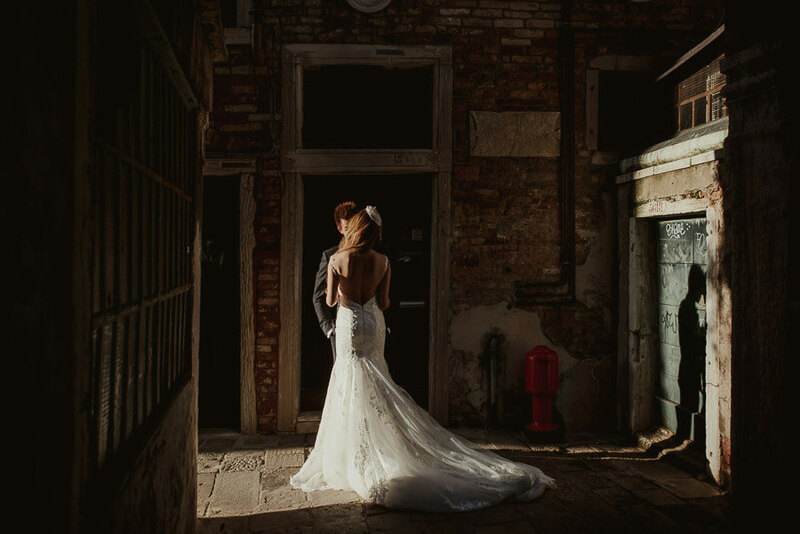 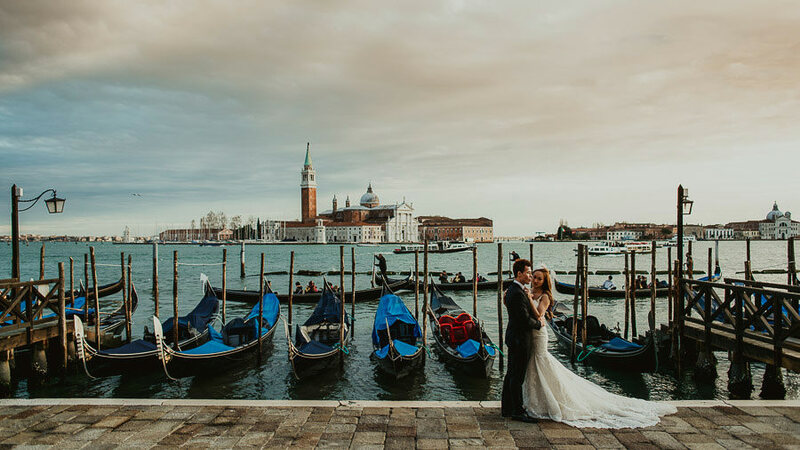 To be a wedding photographer in Venice is something that all the guys doing this work dream, at least one time in their career. 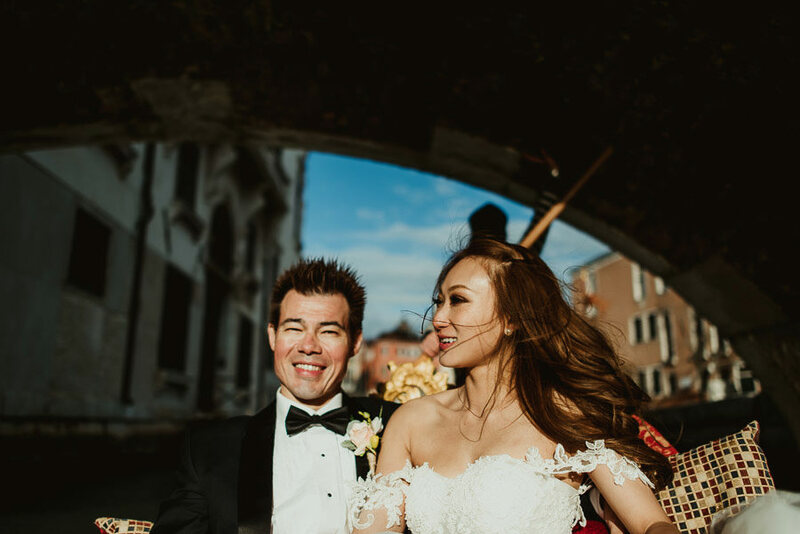 In the end of November I was lucky enough to find an exceptional bright day (and also exceptionally cold from what I can remember) that wrapped these two romantic souls from Hong Kong. 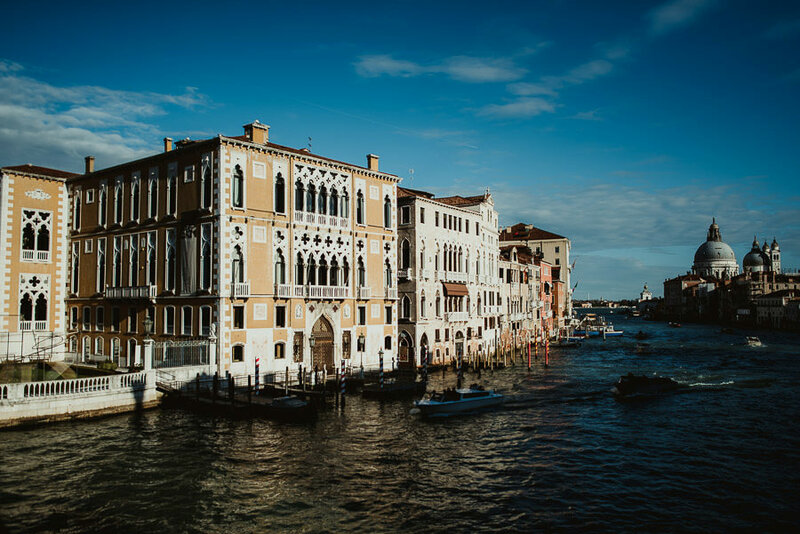 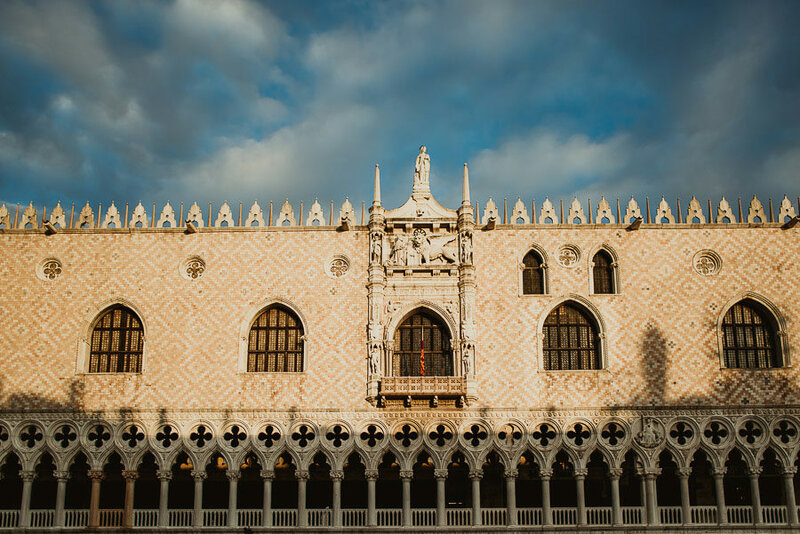 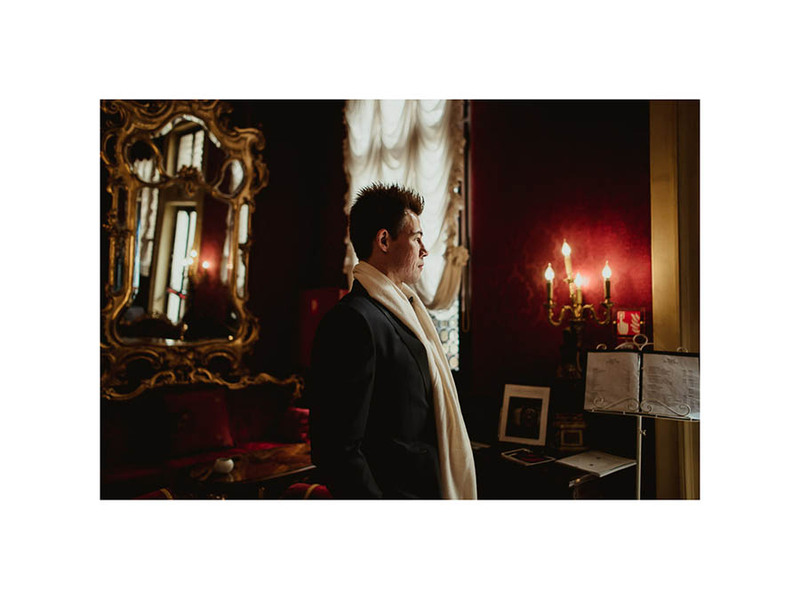 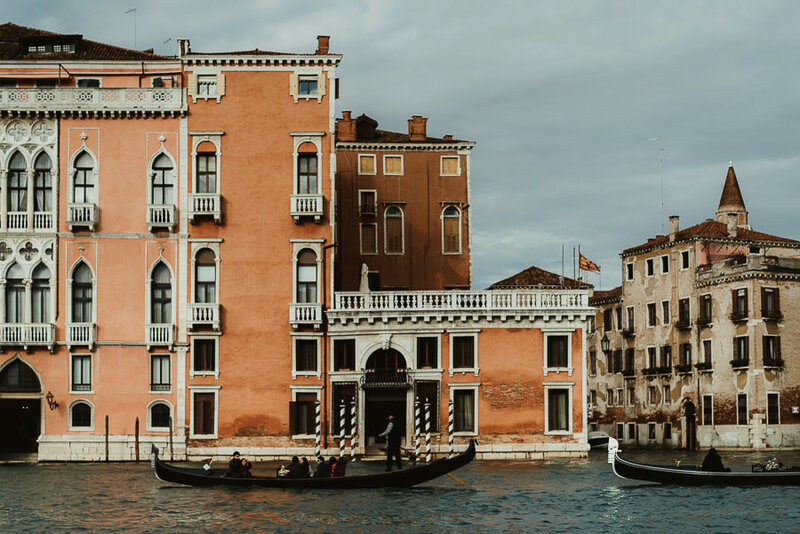 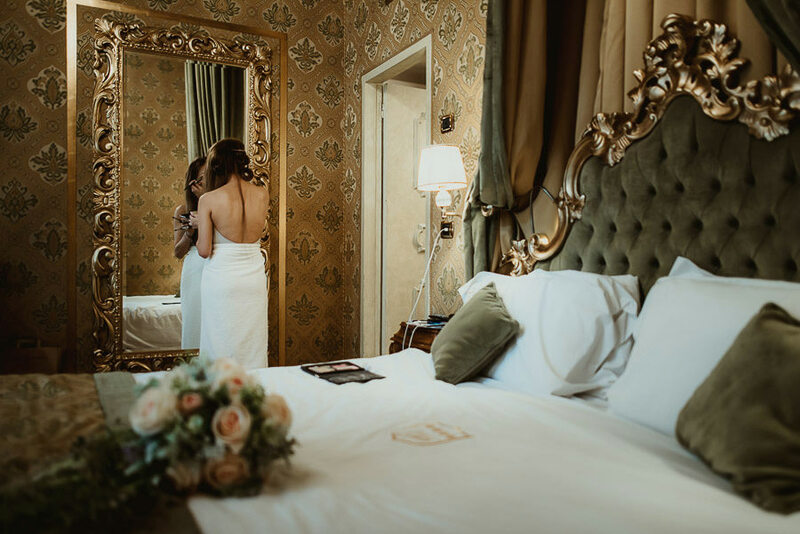 I reached them in their hotel, Palazzo Paruta, a wonderfully restored noble residence, set in the timeless charm of Venice. 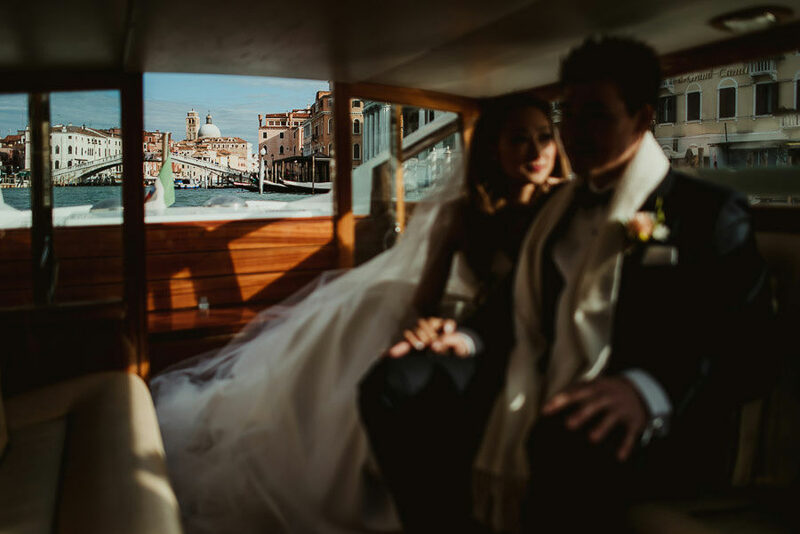 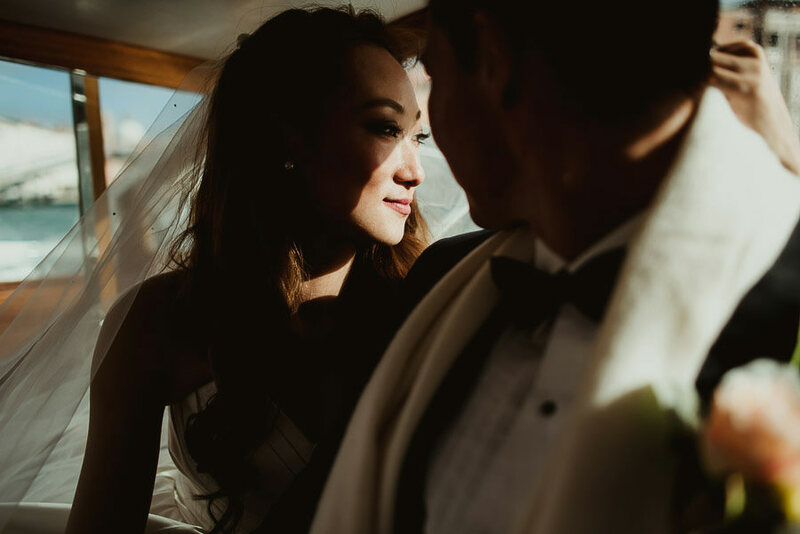 After this we reached together the ceremony in the most classic way, using a Taxi Boat. 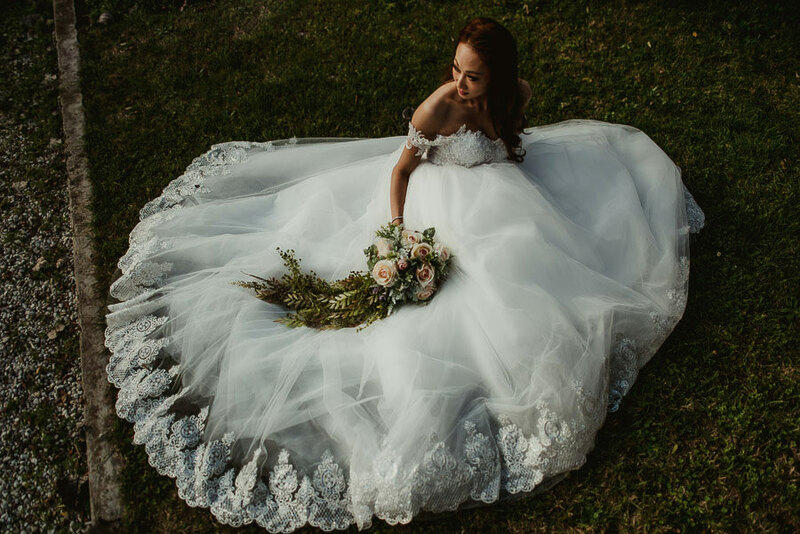 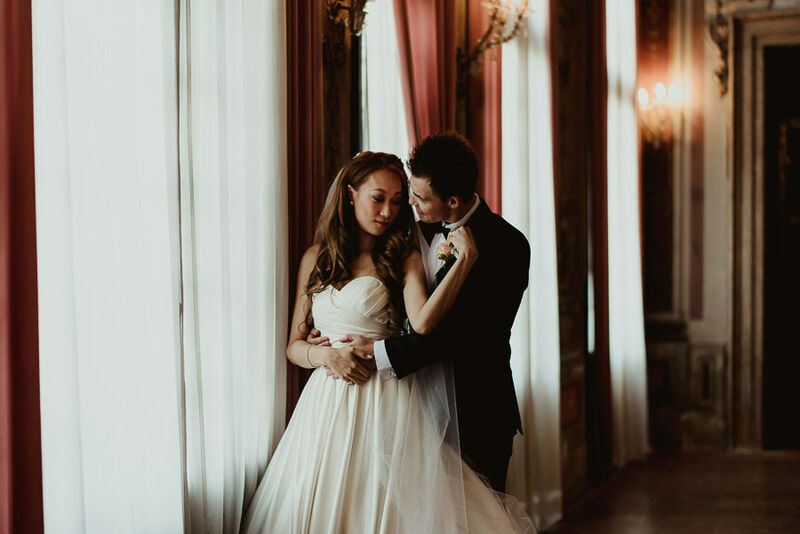 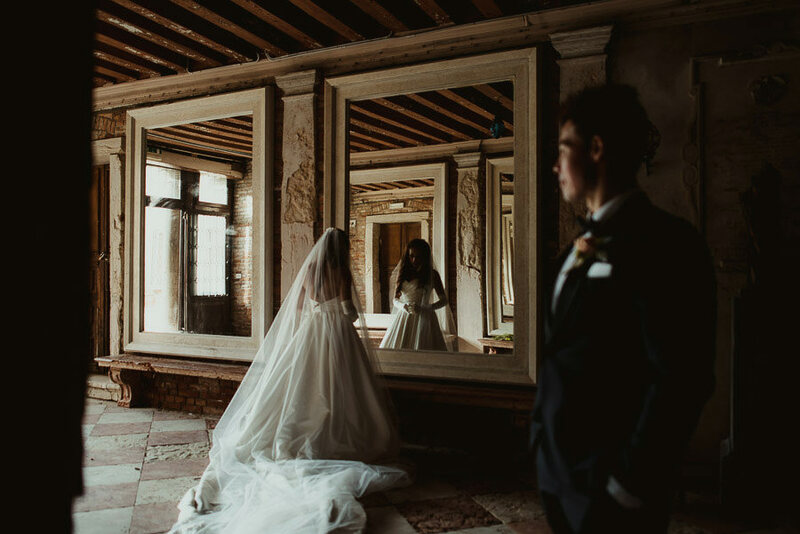 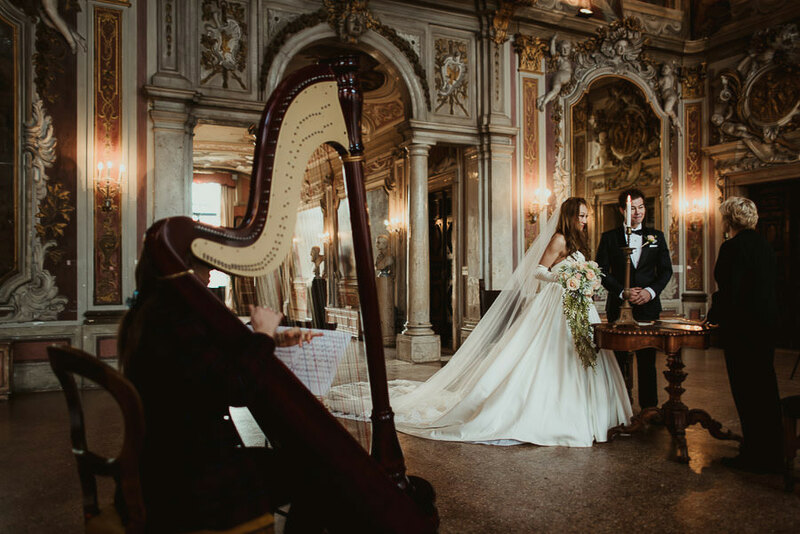 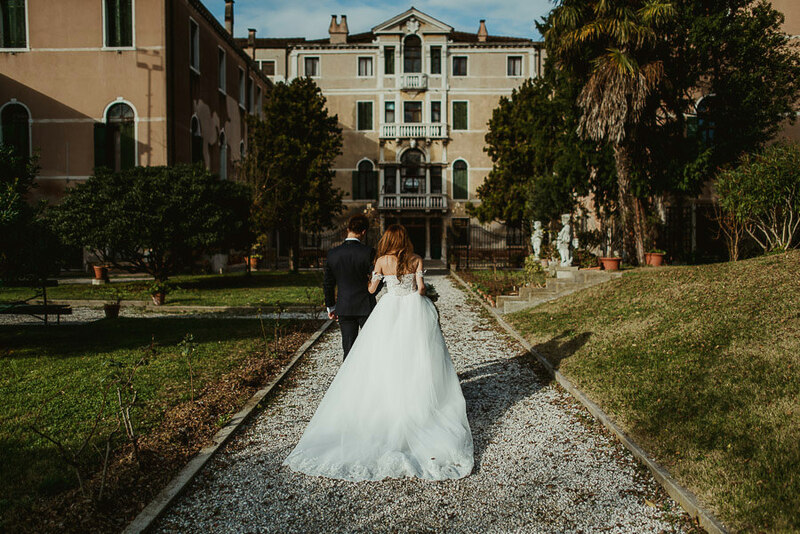 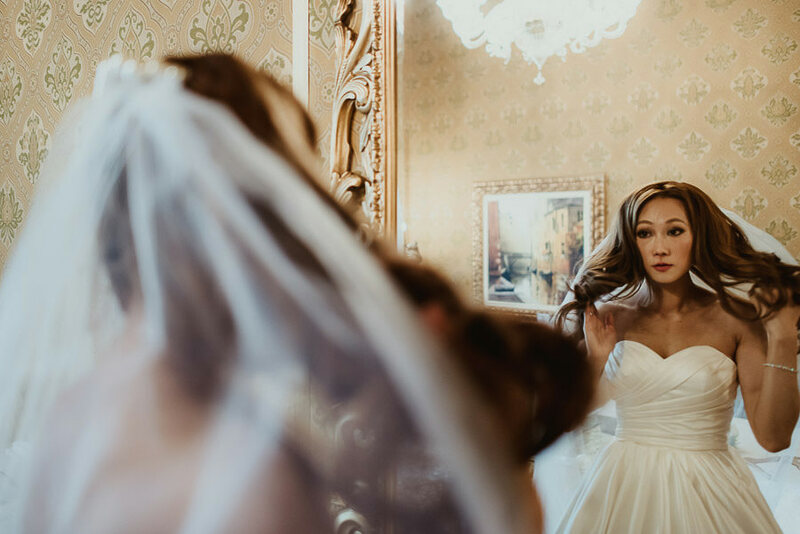 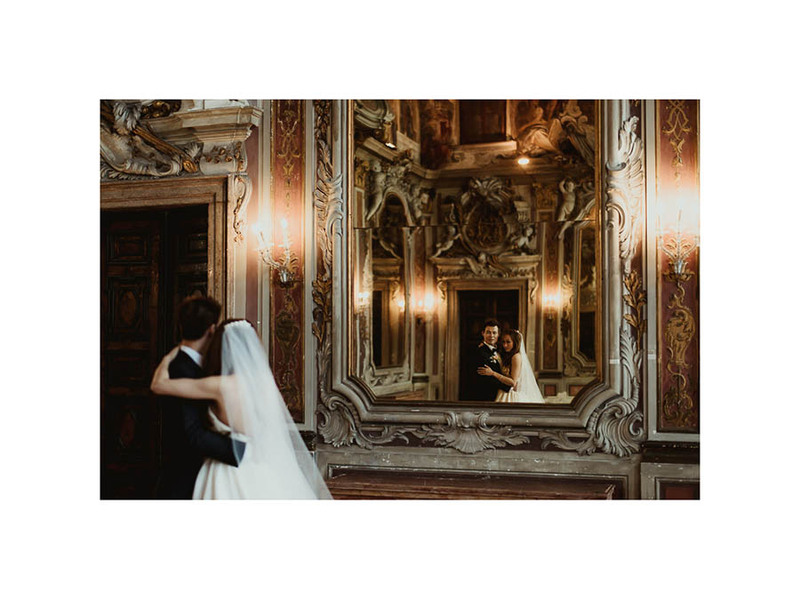 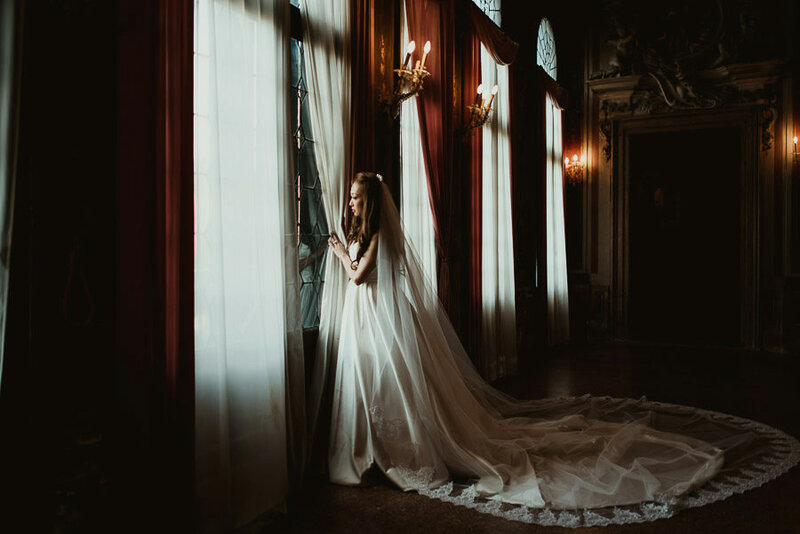 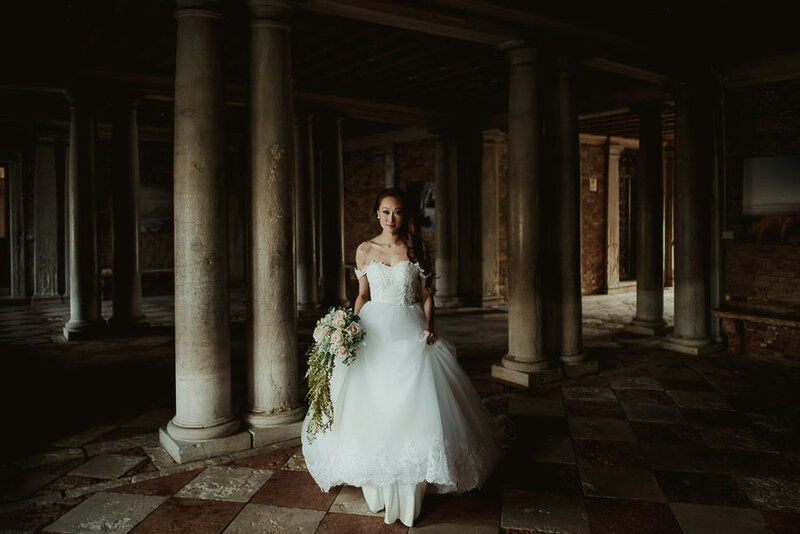 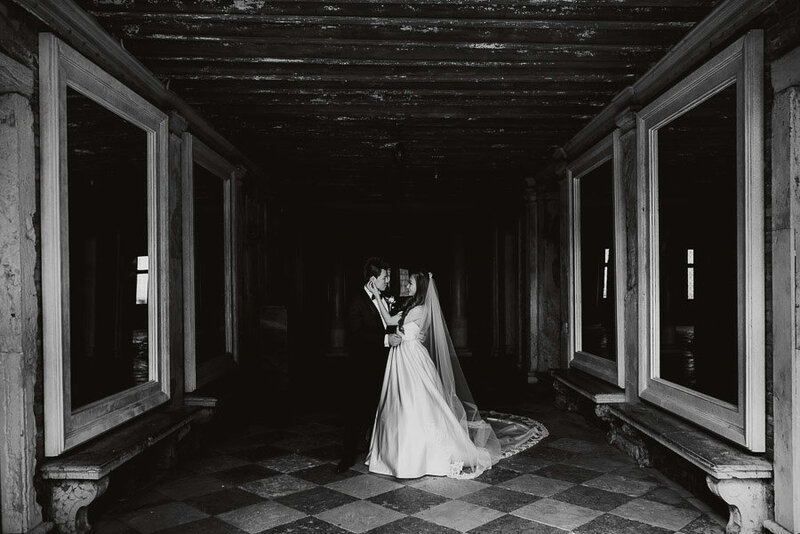 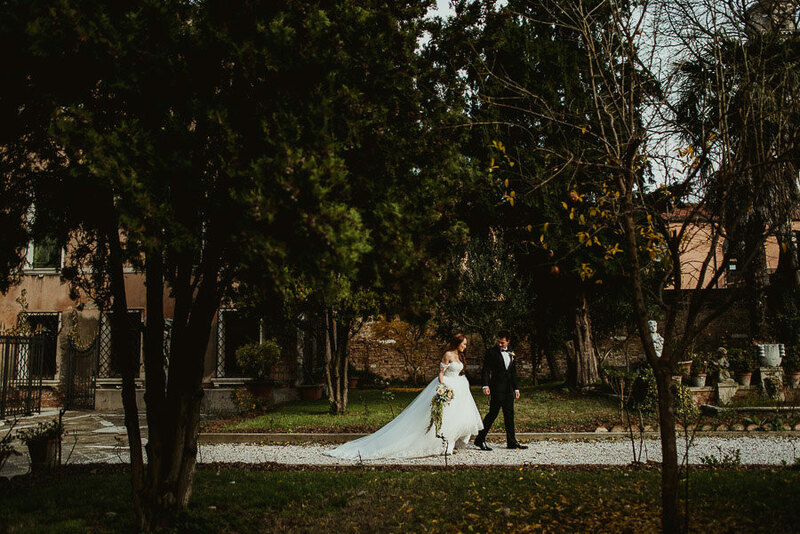 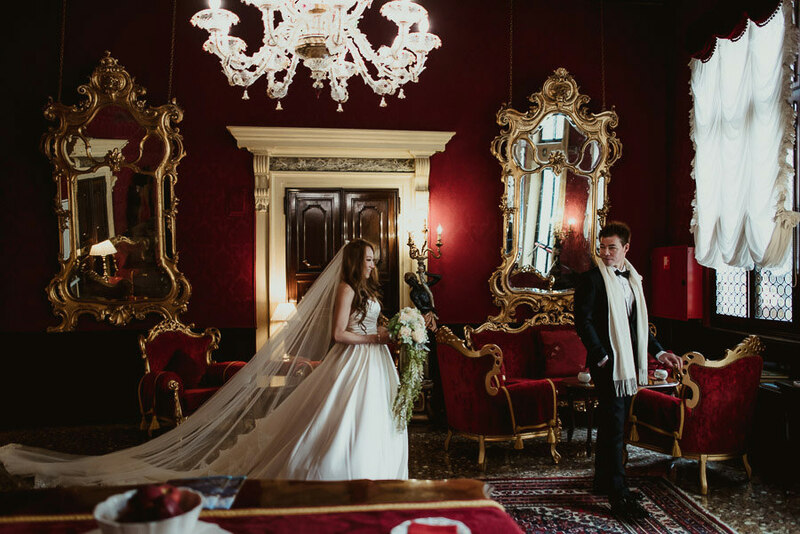 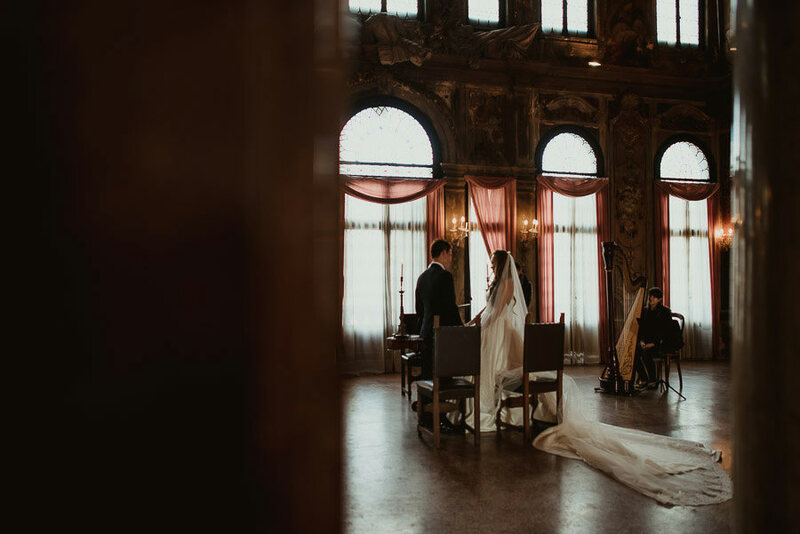 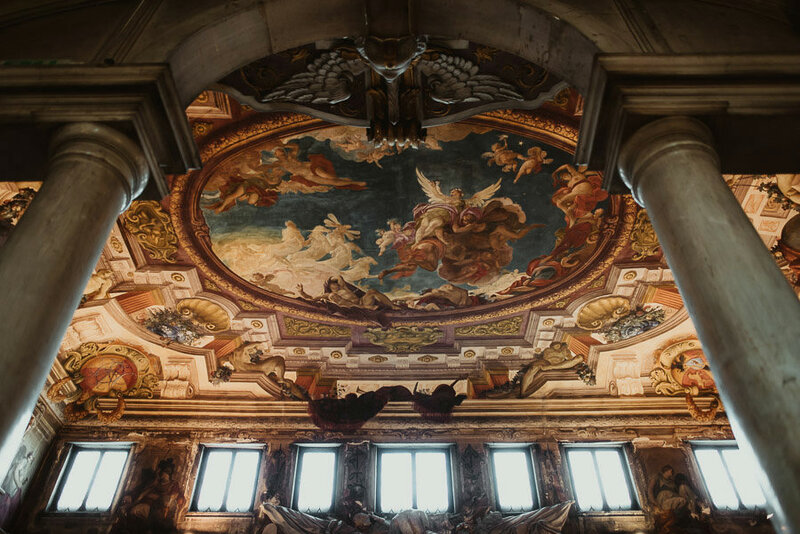 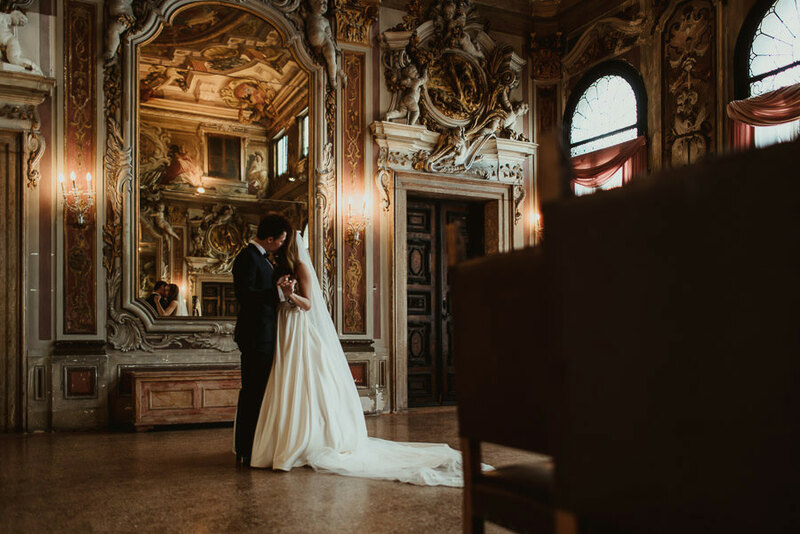 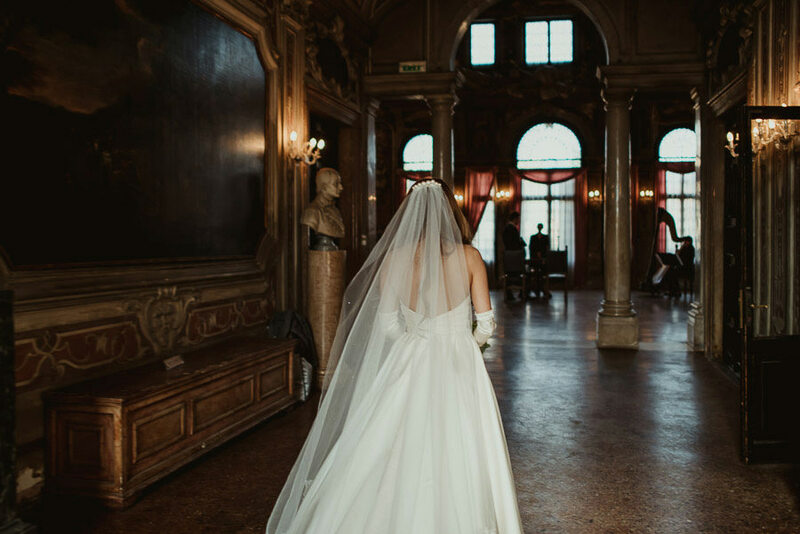 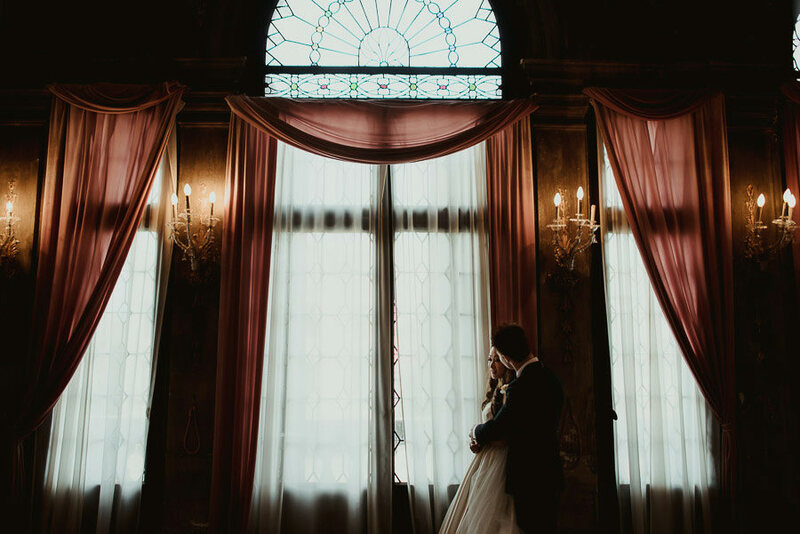 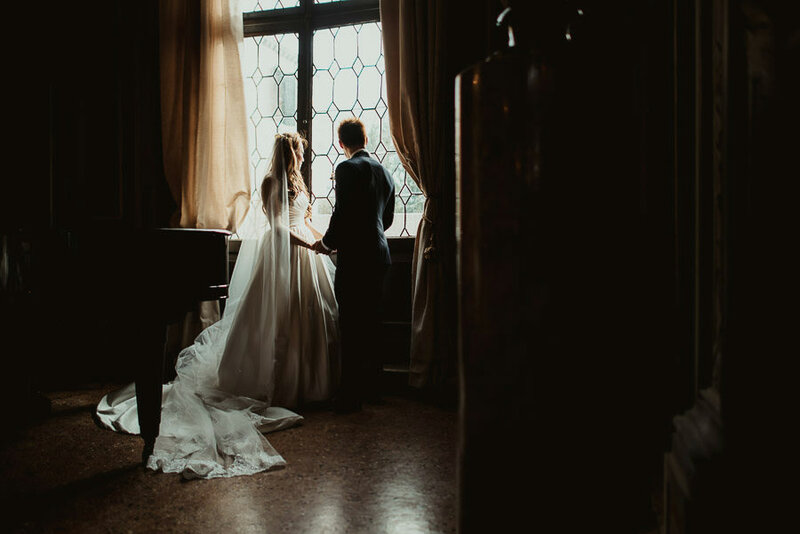 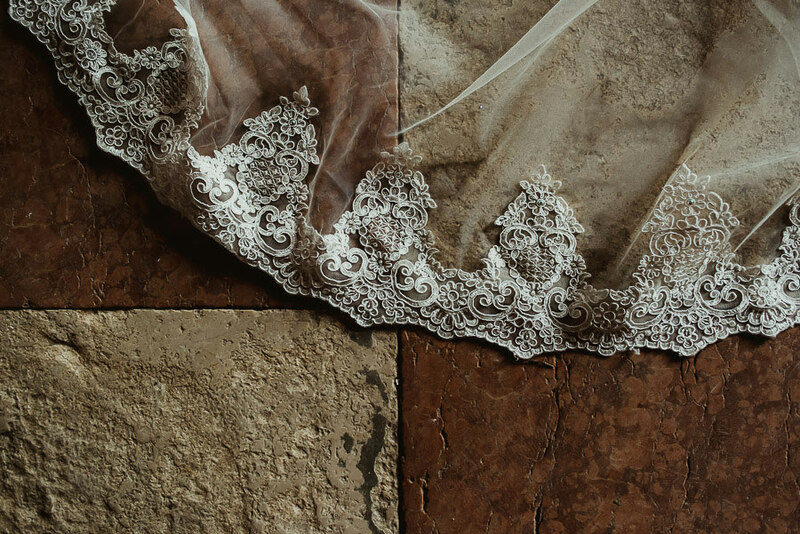 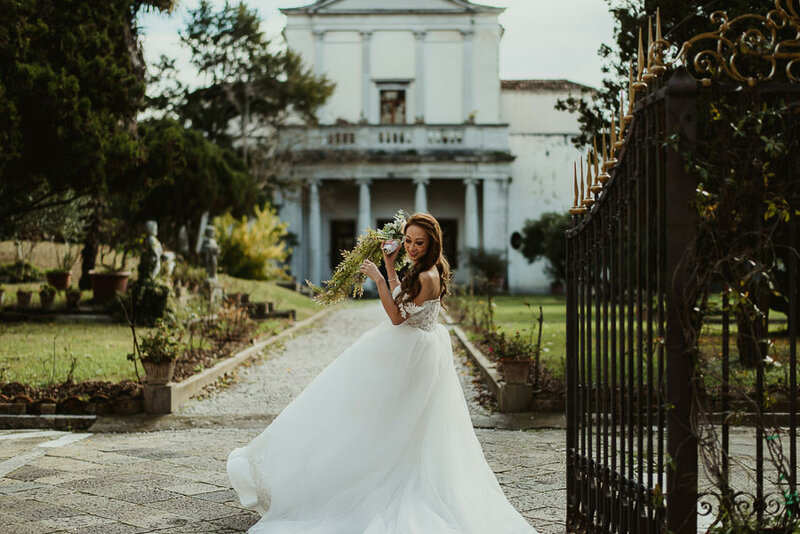 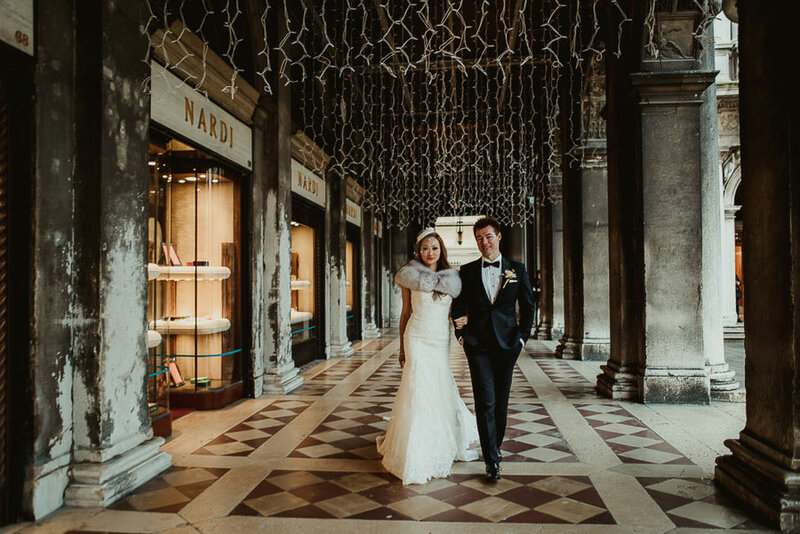 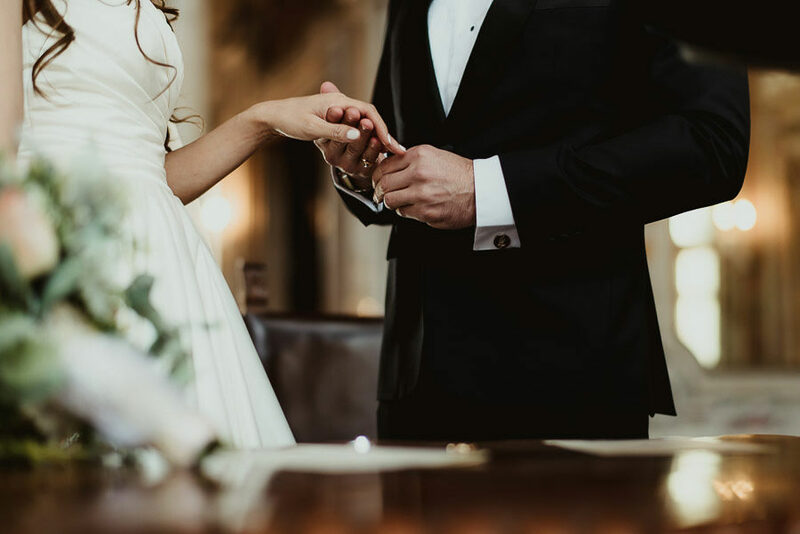 Civil Ceremony has been held in the “Mirrors’ Hall” of Palazzo Zenobio, one of the most beautiful expressions of the seventeenth century in Venice. 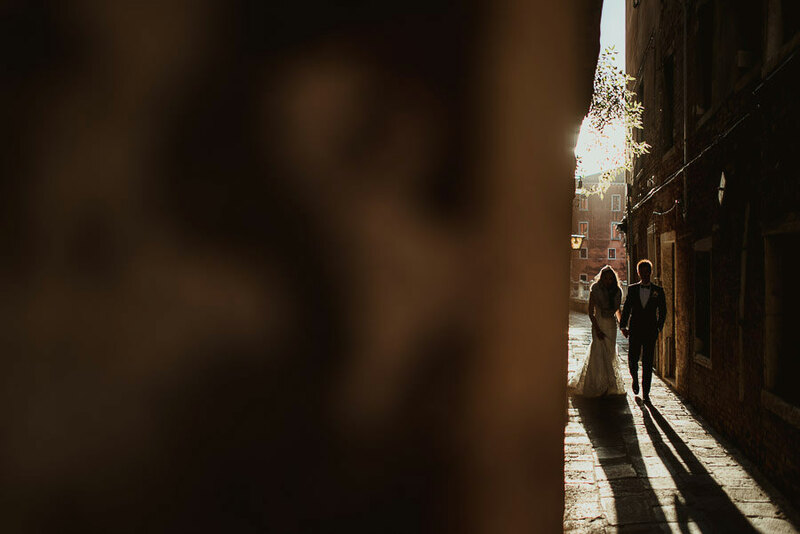 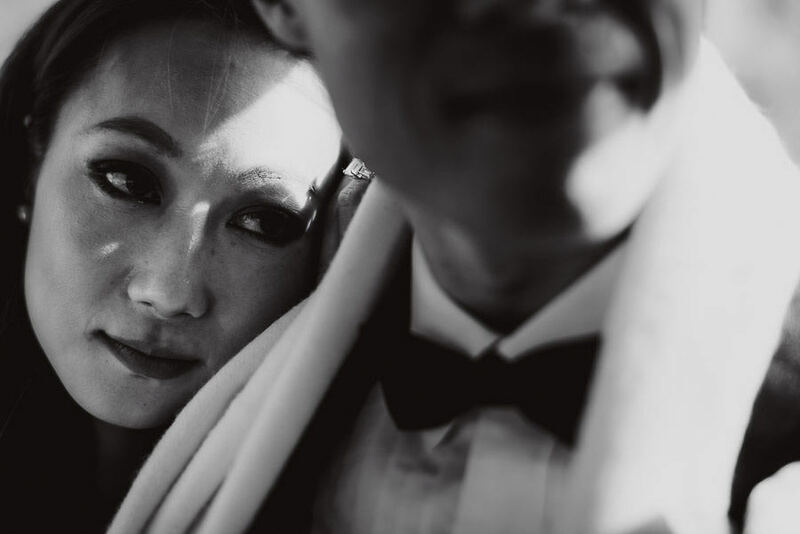 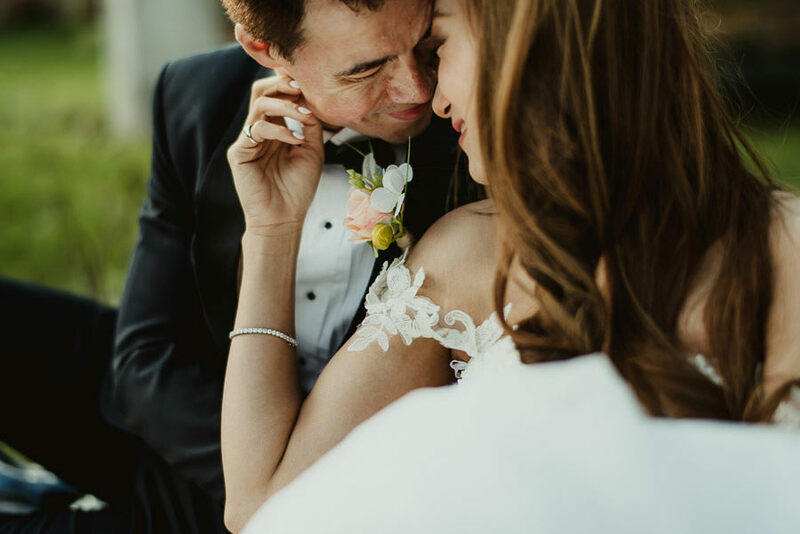 Once the intimate ceremony has been celebrated, we spent together the remaining part of our time walking through the city. 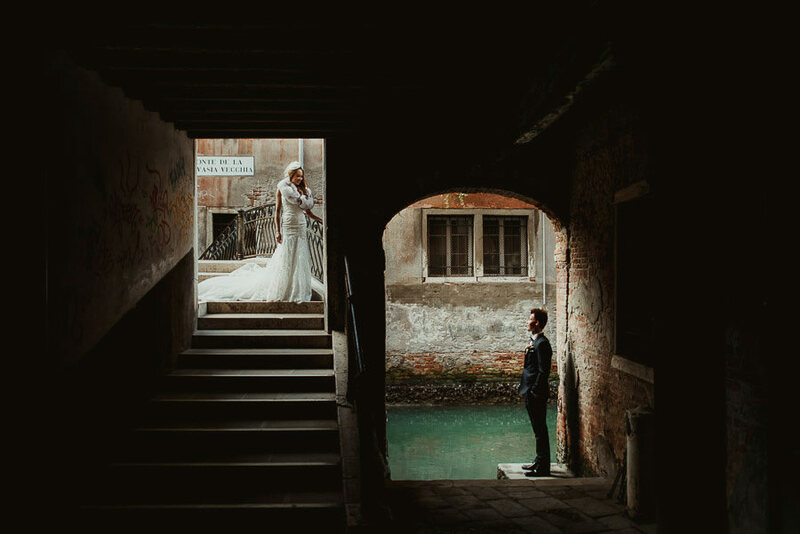 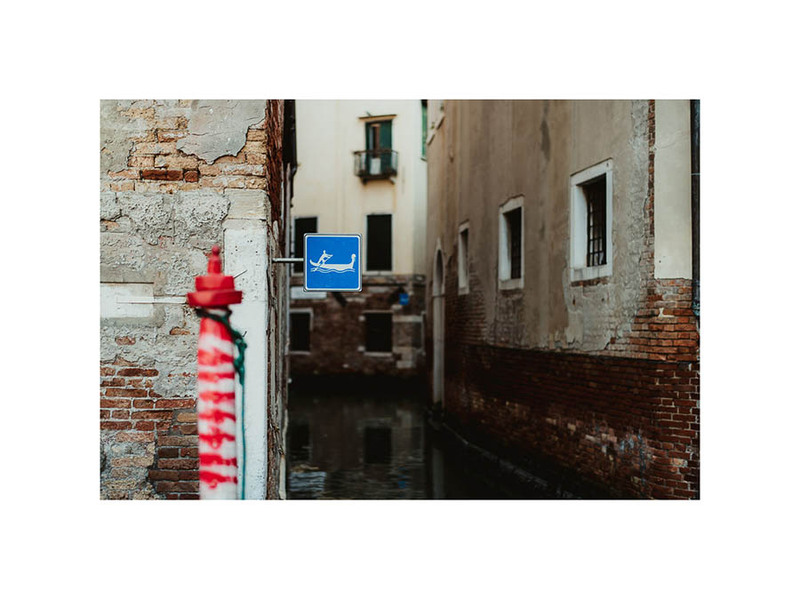 If you avoid to spend all your time in the most famous areas (like Piazza San Marco, Ponte dei Sospiri or Ponte dei Miracoli…) and you enjoy a walk in the small “Calles”, you’l discover that Venice is full of hidden romantic spots; a plethora of little secret corners where a couple can celebrate its love nestled in the history, away from prying eyes of tourists. 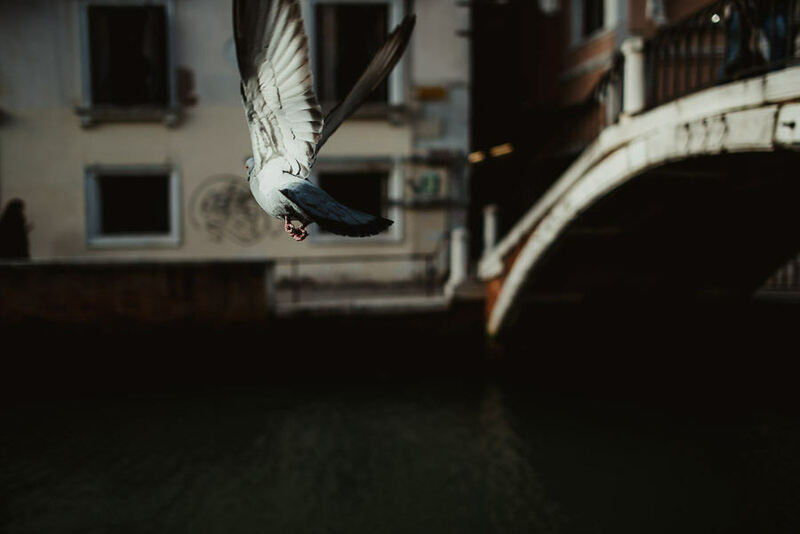 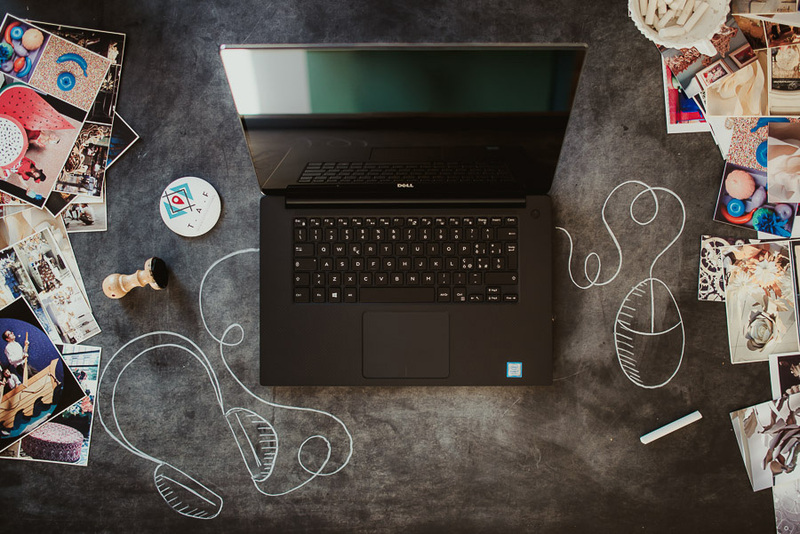 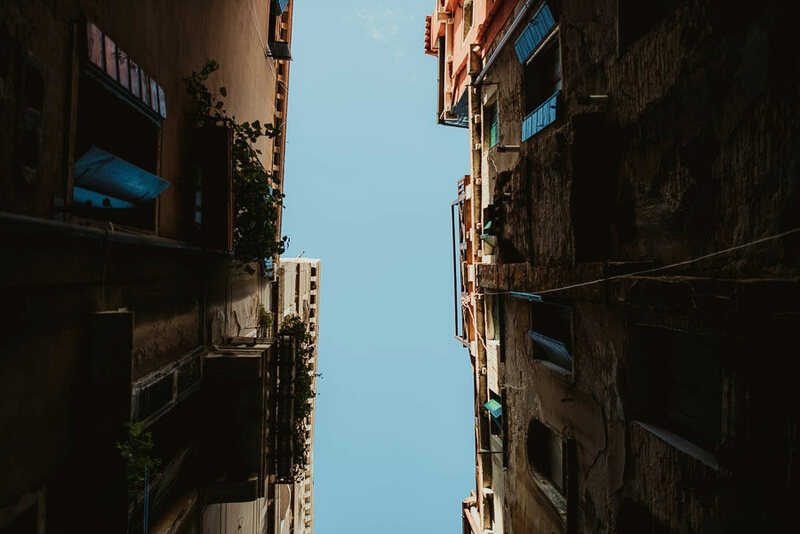 Follow me here below and have a look! 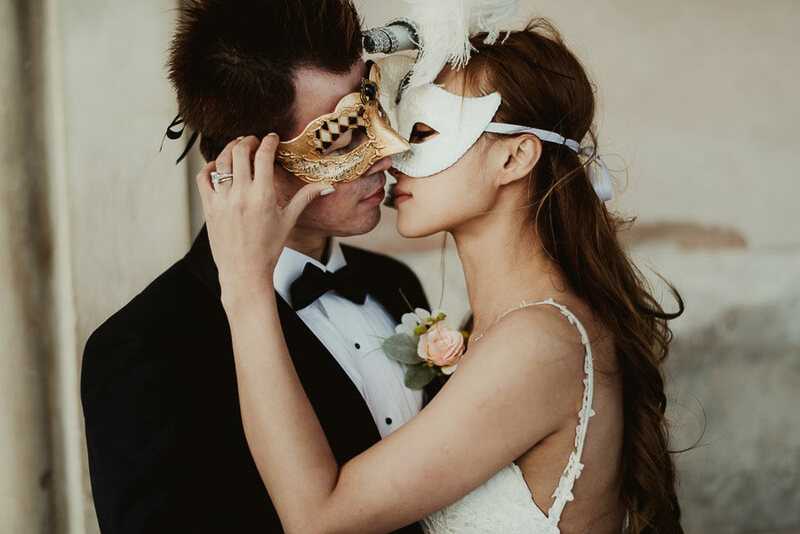 Awesome, you tell the story of a wedding perfectly.